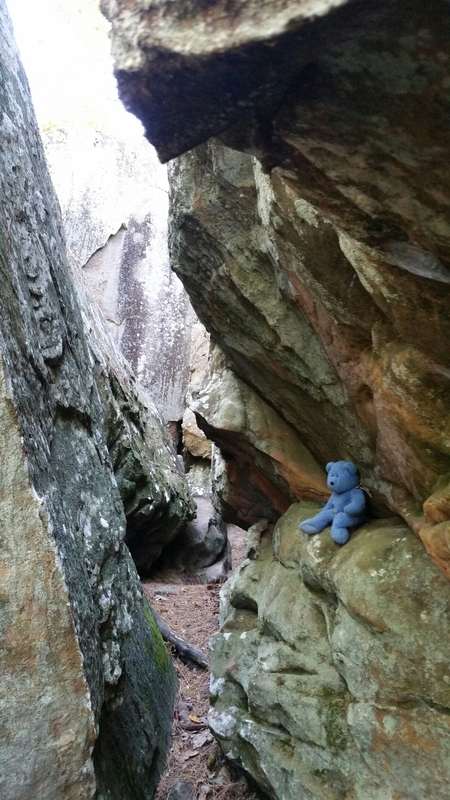 This entry was posted in Uncategorized and tagged Arkansas, Fairfield Bay, Indian Cave Trail by The Adventures of Blue Bear. Bookmark the permalink. Just for a week. Took a friend to visit another who moved to the Ozarks to be near her daughter. Beautiful country, all up and down and round and round. Beautiful weather too. Nice to visit but not sure I would want to live there fulltime. Beautiful place, beautiful weather. A lovely vacation with friends. Yes, never dull.